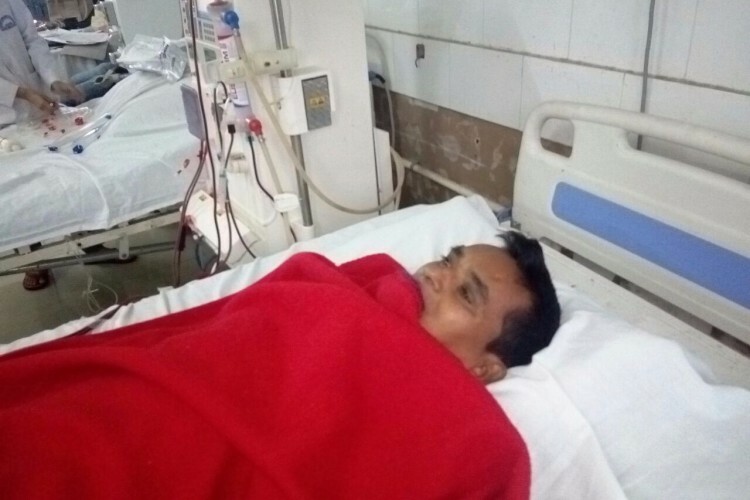 Help fund for my father's kidney transplant. Dear all, I am chitra borah and this is our tragic story which i am going to tell you all. For the sake of humanity hope you will have a little time to read this. we have a happy little family with our parents and we three sisters with my father as the single incoming member working in the noble proffession of teaching. He is a great kind hearted person and he is very much dedicated in his profession. He has helpedand guided lots of souls to be a better person in the community. we were the most happy family untill my father was diagnosed with chronic kidney disease with hypertension at 2013. After that we all has forgotten the word happy as you all know how deadly the disease can be. But we had gathered our guts and we are fighting hard against the disease. My father is also showing extream willpower in this battle against the deadly illness. His treatment is carried out by Dr ANUP BARMAN at GMCH and we had visited delhi two times for his treatment till now. But the WORST news is that in order to keep him alive the doctors have advised for KIDNEY TRANSPLANTATION. we are doing the transplant in AIIMS DELHI. As all our savings has been used up for his treatment from last 4.5 years we are now facing serious financial crisis in order to carry out the expensive operation. so through this fundraising campaign we look forward to contributions , though it will not compleat all the expanse but it will be a great gesture for humanity, that humanity is still alive in this ruthless world. we will be forever in debt and grateful for your kind donation. thanks for reading this all... I wish a happy and prosperous life for you... regards miss chitra borah. Your share could be as good as a donation for Mr Gobin Borah! Not everyone can afford to take care of their loved ones. Mr Gobin Borah's life can only be saved by donations made by kind people like you.